1 Furnished Bedroom Available; $281pw PER PERSON ($380pw if you’re a couple) New apartment, fully furnished, modern look. 4- minute walk to train station, TRAM and bus stops. 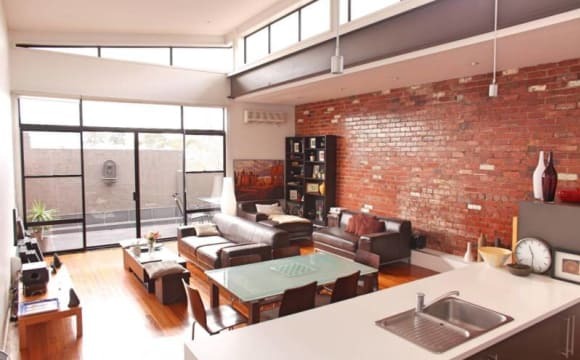 Walking distance to the Victoria Market, Coles, restaurants, trains. _ About the room: Spacious room, fully furnished, great closet space, big windows on the 11th floor. The apartment is new, the bathrooms is modern. People living in the apartment: one (me). Rent: Paid monthly - every 14th of the month. Bills are shared equally between everybody. The bills don't come every month but we split them equally. Tons of cabinet space in the kitchen and in the bathroom too. Short term /long term private bedroom ,Large townhouse in Melbourne City Suitable for backpacker,student ,traveler or couple IKEA furniture and beddings Plenty of space and wardrobe THIS PRICE IS FOR ONE DAY $65 per day for one person ;$85 per day for two person including bills and internet $380/week for one person ;$480 /week for two person including bills if stay longer Maximum Two person minimum stay two days we have a full-set kitchen with wholesome appliances and tableware for cooking 2 large garages for parking a beautiful and spacious front and back yard, back yard a large balcony on the second floor Great location. Quiet and beautiful large townhouse. Close to supermarket,coles, Spencer outlet, Flagstaff Gardens,Queen Victoria Market, 5min to free tram and train station, 1min to bus stop. 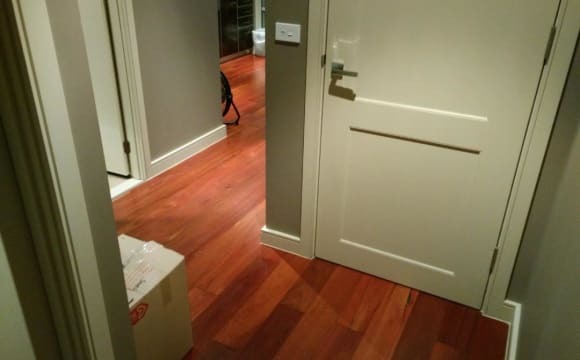 Short term /long term private bedroom ,Large townhouse in Melbourne City Suitable for backpacker,student ,traveler or couple IKEA furniture and beddings Plenty of space and wardrobe with a large and amazing balcony $70 per day for one person ;$95 per day for two person including bills and internet $400/week for one person ;$520 /week for two person including bills if stay longer Maximum Two person minimum stay two days we have a full-set kitchen with wholesome appliances and tableware for cooking 2 large garages for parking a beautiful and spacious front and back yard, back yard a large balcony on the second floor Great location. Quiet and beautiful large townhouse. Close to supermarket,coles, Spencer outlet, Flagstaff Gardens,Queen Victoria Market, 5min to free tram and train station, 1min to bus stop. nice apartment with two beds and a bath. all bills and internet is included. fully furnished room with a queen bed, mattress, a wardrobe. building has a gym and a swimming pool. Unfortunately I have to head home to New Zealand so my room is up for grabs! 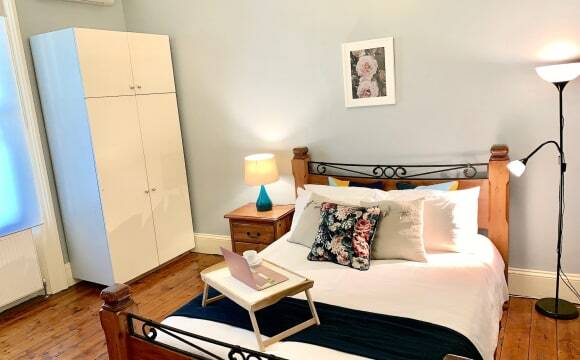 ** Move in available immediately ** Located a less than 5 minute walk from North Melbourne train station this room is in an ideal location. The room is spacious, light and has an amazing view of the city. There is more than enough room for a large bed, desk, drawers / whatever you need. The house itself has 4 bedrooms 2 bathrooms. There are 3 other flatmates currently, all of which plan to stay long term. They are all mid 20’s, work full time and are social. Ideally they would be wanting someone similar or who feels they will slot in well with that. Bills are not included in rent and are split evenly between all flatmates. We have solar power so bills are always extremely low. A lease transfer is required for the room so you will have to pass the property managers approval but that process is very straight forward and shouldn’t be an issue. (Lease is month to month) Bond will be $1,200. As rent is paid for the month ahead depending on the move in date a portion may need to be covered. 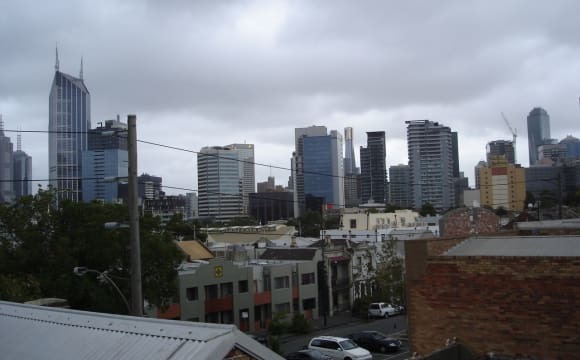 This apartment is very close to city, only few minutes walks to the cbd, free tram zone and victoria market. now we r looking a female tenant who can stay with other two females in shared master room. If u r looking for a clean and tidy place, pls feel free tp contact me. 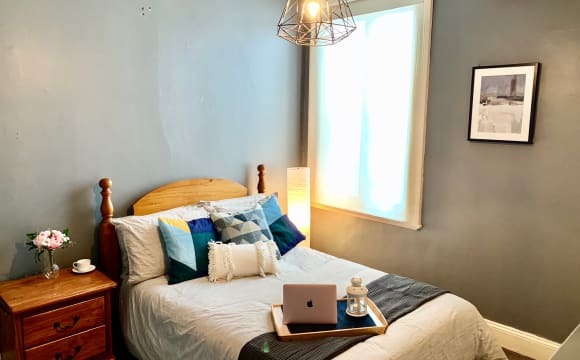 Fully Furnished Private Room For Rent (No couples) Looking for dog lover!! Minimum stay 4 weeks, Available Now. The apartment consists of 2 bedrooms and 1 bathroom; one living with fully equipped kitchen (with dishwasher, microwave, oven, fridge) and a laundry (with washing machine and dryer). You will have to share the bathroom. This isn't a party house, and no one live in the living room. We are in the free tram zone. The rent is $ 320 for a week and includes hot water, wifi, Netflix (watch in the living area) and gas. Share electricity bill. The bond is $ 1280 to cover the damages and will be refunded when you move out. You will stay with one university student (male) and one lovely tiny dog. CONVINIENT LOCATION. Save time and money with access to shops and Public transport close by. Inspection available by appointment. walk 5min to tram stop and still in free tram zone. 7 min walk to Sounther cross train station and cole. 1 min want to flagstaff gardens 2min to flagstaff train station. Great value and Affordable in City location - Ideal for Exchange students, International students, trainees or interns. Low rent in a private room for one person only is $280per week. Walk to RMIT, other colleges in city, This place suits Exchange students, International Students, Internship, Trainee, long term holiday traveller, part time student with long term working holiday Visa holders. It is closed to all amenities-Victoria market, Melbourne Central, train station (Flagstaff or Melbourne Central) or tram stop(free tram zone), parks and gardens. Weekly discount rent is $280per week if you have one person only in a private room which includes unlimited free wifi internet. You share and pay bills on top of the rent such as gas, water, electricity charges, weekly cleaning fees, gabbage bags, dish washing liquids etc as they are not included in the rent. Large clean house has 6 rooms with 3 bathrooms. Fully furnished in a private room, study desk and chair Meal table in living. fridge, washing machine, well equipped kitchen comes with all cooking tools, utensils pots, pans and cutlery Bed Sheets, Linens, Quilts are all provided. House with full security. The Deposit is four weeks rent. The duration of minimum stay ends on 30 June 2019. Please kindly leave your name, mobile number, intended move in date, length of stay, gender, type of visas(if from overseas) country of passport and occupation and purpose of the visit to Melbourne. Please send us an email or text message (not phone) to register your interest to view the room and we will reply your message with inspection date and time. The place is very quiet. All bill will be shared. Toilet shared by 3 people. Not suitable for couple. The studio apartment is very spacious, including kitchen, bathroom, living and meals area. It includes: . Single bed (S) or Queen • Bedside tables • Lamps • Desk • Dining table • Chairs • Lounge set + Coffee table • Kitchen + kitchenware • Fridge • Flat Screen TV . 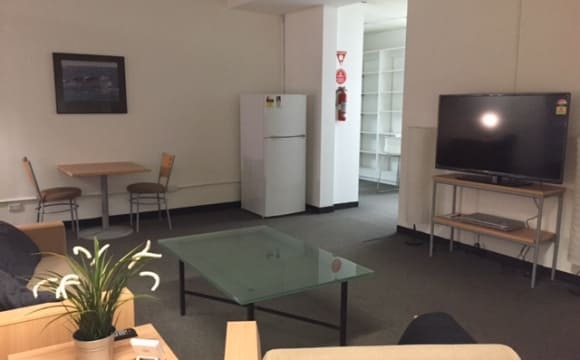 You have access to enter the main property in 360 King street but you have everything you need in the studio. . THE LOCATION is fantastic opposite Flagstaff Gardens, 100m from the free tram zone, 5 mins walk to Flagstaff station and la Trobe street! 10 minutes’ walk from Melbourne Central and southern cross. Even the casino is walking distance! We provide unlimited internet data service. All utility bills are included in rent. Fantastic location - Tram and Bus also train staition near by. Very convenient!! 8mins walk to Coles and Victoria market. 5mins walk to Flaggstaff station. 12mins walk to Southern cross station. Free tram zone - La trobe street is next door Building comes with gym, swimming pool , tennis court, Outside BBQ Grilled. 2weeks bond and 2weeks rent Inspection is available by anytime. Located in West Melbourne, we are found in a quiet area on the city fringe just off the CBD on Spencer Street. Very close walking distance from trains, trams, buses. Close to restaurants, shopping and banking, parks and walking distance to RMIT and Victoria Markets. This place is ideal for those who work or study in the city and Docklands, but do not want the sounds of trams, trains and traffic all day long. The apartment itself is very comfortable with 5 metre high ceilings and polished floorboards. Your bedroom will be a fully furnished bedroom with a Single bed, a desk and wardrobes with lots of storage space. Bedding is provided, so all you need are your clothes (optional), your boots and your motorcycle. We are looking for one person for three people so if you are group it is fine. Rent is $180-$185pp/pw for Room 1 and $195pp/pw for Room 2. Rent includes all utilities including internet, electricity, water, gas and sewerage and waste removal. Rent is paid 4 weeks in advance. Two weeks bond will be required. Facilities include: • CCD security entrance with video intercom, • undercover parking • storage cage • Two bathrooms with a separate toilet main bathroom with a separate shower and spa bath. • Fully equipped modern kitchen with gas range and powerful rangehood, microwave, fridge, kettle, toaster, oven, rice⁄pressure cooker, blenders, mixers, Scanpan cookware, Nespresso coffee machines, sous vide circulator (yeah we do that here) Rotisserie BBQ spit • air conditioning hydronic heating fans • laundry with front loader and dryer. • entertainment devices; unlimited 24Mbit ADSL 2 wifi, PS4, Wii U/Nintendo swtich, XBOX 360, PC, Two HD projectors with up to six metre screen. (Yes it is like a cinema in here at night) • balcony with outdoor furniture, so you can join us while we catch a tan or even have a BBQ. I have some form of exercise equipment but we live by the motto of "the ultimate ghetto workout" where everything can be lifted. You can even borrow the bikes. Address: 420 Spencer St West Melbourne 3003. Private Bedroom with own bathroom available from 15th May. - Fresh newly built spacious apartment with 2 beds and 2 baths appartment up on level 27th with great views. 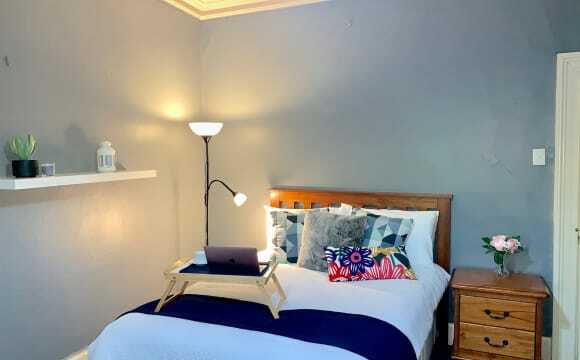 - Within 10 mins walk to Southern Cross Station, Queen Victoria Market, supermarket and restaurants. - Fully furnished with bed, wardrobe, desk, sofa, kitchenwares, microwave, oven, dishwasher, washing machine, TV, fridge etc. 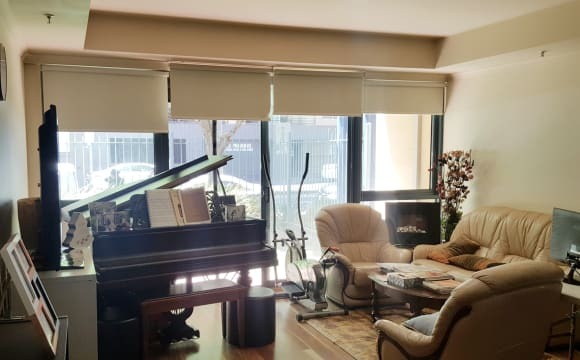 - Building with secured entry, gym, swimming pool, barbecue area, party room and theatre room - You will be sharing with another lovely young couple. 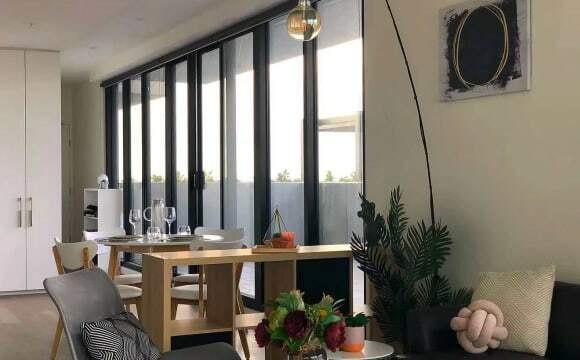 (The living room will never be rented out to ensure you can always just chill in the living room or dining area) - Private bedroom with own bathroom $400pw -Prefer couple or 2 friends (price for 2 persons) sharing all bills. Welcome anyone who are friendly and polite, and are respectful to others' space and privacy.